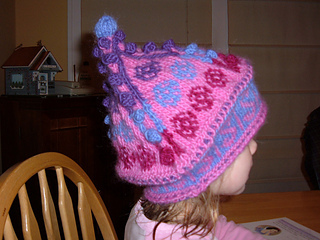 Hat requires 3 colors of worsted weight wool. A background color (MC) and 3 contrasting colors (CC1-3). You will need 80 yards each of MC and CC1 and 60 yards each of CC2 and CC3. 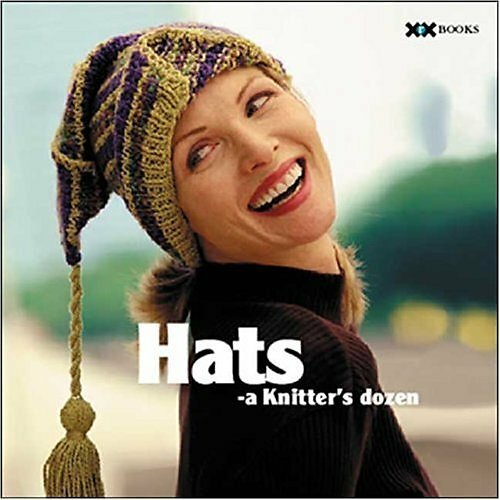 Knitted hats travel well, folded in a pocket or purse until needed. Everybody needs such a hat. Beyond the obvious -- keeping the wearer warm and dry on cold, wet days -- they conquer the gloom of winter with their color and pattern, their balls and bobbles. They brighten the day for both wearer and watcher.